This post is part of our low-carb diet series and is being published as a service to our users. We do not endorse any particular diet plan. You and your healthcare team should work together to find the meal plan that works best for you. Richard K. Bernstein MD was born in 1934. He was diagnosed with type 1 diabetes in 1946. Insulin was available at this time, but this was still the stone ages of diabetes history. ⚔️ Think: no meters, only urine samples to determine blood in glucose and using stones (pebbles, rocks) to sharpen one's needles. But by 1969, he got his hand's on the first blood sugar meter. And everything changed. Being the engineer he is, Dr. Bernstein was determined to solve his own diabetes dilemma: high blood sugars. He checked his BGs 5-8x daily (unheard of at the time), an extremely early adaptation of self-monitoring. He quickly saw a common denominator: carbs. And so, Bernstein began his self-proclaimed, self-monitored low-carb lifestyle. Fast-forward, and Dr. Bernstein is still holding strong, well and good at age 83. He became his very own endo, still runs his private practice, and has published six books on all his diabetes findings. While many are quite opposed to Dr. Bernstein's restrictive diet, others swear by it. So what's it all about? The Bernstein Diet (or lifestyle) isn't about weight-loss (although, most people do experience significant weight loss on his plan). Rather, it aims to maintain stable blood sugar levels at all times. Bernstein caps one's total daily carbs at 30 grams, broken down into 6g of carbs at breakfast, 12g at lunch, and 12g at dinner. This is not your typical LCHF diet. Rather, Bernstein takes the LCHP approach: low-carb, high protein. Fats consumed on the Bernstein diet will come via protein intake. Additionally, this way of eating eliminates all types of high glycemic index food items, including some vegetables. It's kind of like the 1st phase of the Atkins diet, forever. Or, the ketogenic diet without the high-glycemic vegetables and more proteins than fat. 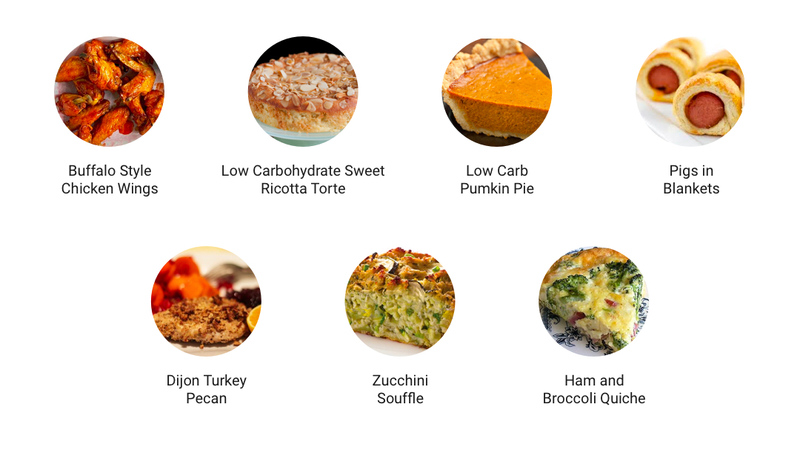 There are recipes to try (like the ones pictured below), and lots of eat this, not that lists readily available on Dr. Bernstein's website, as well as a much more detailed synopsis of the science behind the diet. Here is a concise list of foods to avoid listed in Dr. Bernstein's book, The Diabetes Solution. It's pretty easy to remember, once you start using it.